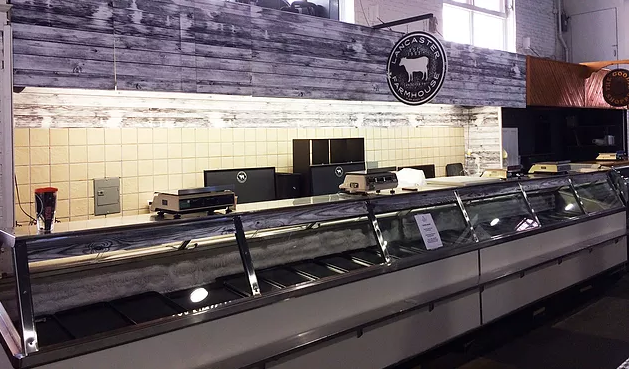 RM Heagy Foods purchased a stand at Lancaster Central Market under their newest brand: Lancaster Farmhouse, and the stand needed a bit of a face lift. Due to wait times with the building inspector, drywall was out of the question. So, we had a few days to cover much of the existing walls to give their new market stand a much needed makeover. We decided to use polystyrene. You know, that long hydrocarbon chain with a phenyl group attached to every other carbon atom? Anyway, we took polystyrene and printed a nice weathered-looking wood pattern on it. We should mention, another challenge was that all stands at the market need to be black and white. So, we took the printed polystyrene and adhered it to the walls (except for the tiled area) and the overhang of their stand, including some utility doors up top. We also added some of the same wood pattern to the top of Lancaster Farmhouse’s coolers to continue the theme and hide the light fixtures. 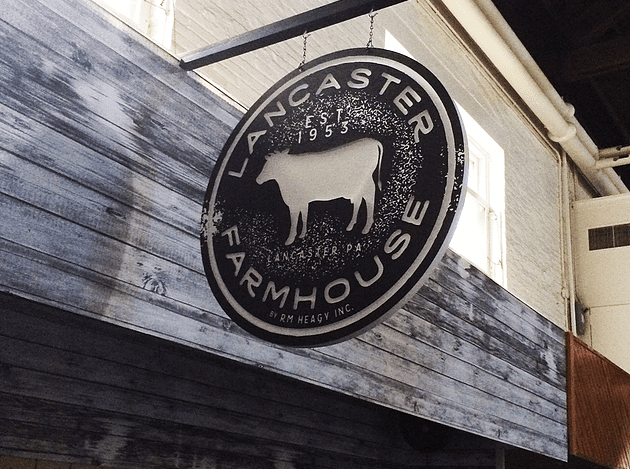 The outcome is a fresh face for the new Lancaster Farmhouse stand, done on a tight timeline, without breaking the bank. As you can see in the photos, we also did a hanging sign to help the stand stand out and be easy to find for visitors walking the aisle.